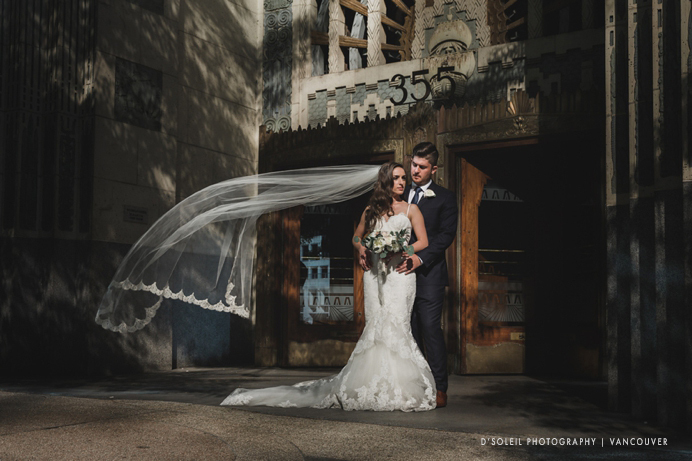 A sneak peek of one of Christina + Chris’ Terminal City Club wedding photos taken this past weekend outside the Marine Building just down the street from the Club. Photographed all in natural light using the gorgeous evening light we received through reflections off buildings and shadow from nearby trees. More photos from this beautiful Italian wedding to come in the following weeks.